GigaPan Systems was established in 2008 as a commercial spin-off of a successful collaboration between the researchers at NASA and Carnegie Mellon University that developed the breakthrough GigaPan technology for creating high-resolution panoramic images. GigaPan Systems was founded to bring this powerful, high-resolution imaging capability to a broad audience. The GigaPan System allows experienced and novice photographers to create high-resolution panorama images more easily than ever before and the resulting GigaPan images offer viewers a new, unique perspective on the world. The GigaPan System is the first solution that offers everything needed to take high-resolution panoramic images in a single system: the robotic GigaPan Imager attachment for most digital cameras; the GigaPan Stitcher software that automatically combines the thousands of images taken into a single image, and the GigaPan Viewer on the GigaPan.org site that enables the unique mega-high resolution viewing experience. Founded in 1996, WorldHeart is a public company headquartered in Salt Lake City, Utah (USA), with additional offices located in Oakland, California (USA), and in Herkenbosch (The Netherlands). Its registered office is Delaware, USA. Its stock trades on the NASDAQ National Market (ticker symbol:WHRT). WorldHeart's mechanical circulatory support devices assist the failing heart to pump blood. These pumps are also called VADs (Ventricular Assist Devices). WorldHeart's VADs are used to support the left ventricle, which takes oxygenated blood from the lungs and pumps it to and through the tissues and organs. As a result of this heavy and constant demand, the left ventricle does most of the pumping work and therefore fails more often. Long-term support of the left ventricle alone is estimates to serve more than 80% of eligible patients. In this application, these devices are called LVADs (Left Ventricular Assist Devices). In November of 2009, Worldheart finalized assignment and exclusive license agreements with LaunchPoint Technologies Inc., (LPT) Goleta, California, and Carnegie Mellon University(CMU),Pittsburgh, Pennsylvaniafor its next-generation minimally invasive blood pump, the MiVAD. The MiVAD(TM) is designed to provide partial cardiac support between 2-4 liters per minute to less sick heart failure patients than those served by existing full-support Left Ventricular Assist Devices (LVADs). The MiVAD design is based on the Pediaflow(TM) LVAD design and intellectual property. The PediaFlow LVAD, a miniaturized implantable fully magnetically levitated blood pump, is intended for neonates and has evolved significantly through design and development. The latest version of the PediaFlow pump is approximately the size of a AA battery and was successfully evaluated in a multi-month animal trial this summer. The Pediaflow LVAD development has been led by theUniversity of Pittsburgh,Pittsburgh, Pennsylvaniaand has been primarily funded by the National Heart,Lung and Blood Institutewith supplemental funding and technology contributions from WorldHeart. WorldHeart, CMU and LPT are members of the development consortium. 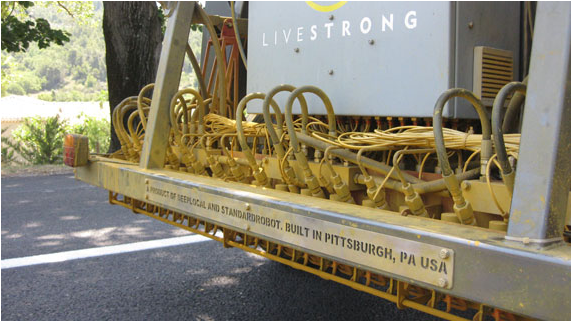 The work completed on this device is the foundation for the MiVAD. Additionally, the MiVAD will incorporate existing intellectual property as well as internal and external design features from the Levacor(TM) LVAD. More than 90% of the world's 161 million blind and/or visually impaired people are living in developing countries. Despite the importance of literacy to employment, social well-being, and health, the literacy rate of this population is estimated at under 3%. This research project is designed to develop assistive technology to address this critical problem. The project's scope was to design, implement, and test an adaptive Braille writing tutor for the Mathru School for the Blind in Bangalore, India. The resulting invention teaches blind children in third world countries read and write Braille in much less time and with higher learning rates. A robust, low-power Braille writing tutor – consisting of a digital stylus that interfaces to a computer, PDA, or SimPuter – uses text-to-speech software to speak sentences to the student. As the student writes each letter on the stylus, it provides immediate audio feedback by repeating the written letters and words and correcting mistakes. About TechBridgeWorld: TechBridge World innovates and implements technology solutions to meet sustainable development needs around the world. Through strong collaborations with partners in developing communities, we explore and enhance the role of technology globally, focusing on two main principles: sharing expertise to create innovative and locally suitable solutions, and empowerment of indigenous populations to create sustainable solutions. Through these efforts TechBridgeWorld creates technology accessible and relevant to all. Carnegie Mellon University is using Flintbox to license and distribute its Multi-PIE and Face-in-Action datasets, which are used in the development of face recognition software. Carnegie Mellon is licensing these research tools to face recognition researchers globally at nominal, cost-recovery rates. The Carnegie Mellon Multi-PIE Face Database, created by researchers at the Carnegie Mellon Robotics Institute, is a collection of more than 750,000 images of 337 people recorded in up to four sessions over the span of five months. Multi-PIE was supported by the U.S. Government's Technology Support Working Group (TSWG) and by Sandia National Laboratories. Multi-PIE has been available to researchers through Flintbox since October 2009, and is one of the most frequently licensed technologies on Flintbox, with licensees from 20 countries. Building on the success in using Flintbox for distribution of Multi-PIE, Carnegie Mellon has recently made another database of facial images available through Flintbox. The Carnegie Mellon Face-In-Action Database was developed by researchers in the Electrical and Computer Engineering Department with funding from the Department of Defense. It is comprised of 20-second videos of face data from 180 participants and was made available through Flintbox in November 2010. Aquion Energy is producing a revolutionary battery based on novel ambient-temperature sodium-ion technology. The Aquion solution offers an advantaged value proposition in nearly all stationary storage use cases; beyond minimized materials and manufacturing costs, the core technology has exceptionally long life, is safe and is environmentally benign. Early production is currently taking place at the Aquion Energy pilot manufacturing plant located in Pittsburgh, PA.
Aquion technology is suitable for a variety of grid-level and distributed energy storage applications, with billions of dollars in addressable markets. The battery is most suitable for storage used to support: Off-Grid Renewables, Transmission and Distribution Upgrade Deferral, Long Duration Ancillary Services and Peak-Shaving/Load Shifting. The disruptive nature of the technology has enabled Aquion, a Carnegie Mellon University spin-off company, to attract private capital from top-tier greentech investor Kleiner Perkins Caufield and Byers and a grant from the Department of Energy. Bossa Nova was formed in February 2005 as a spin off from Carnegie Mellon University's Robotics Institute to commercialize advanced robotic technologies as consumer products. David, Sarjoun and John met in the neighborhood of Carnegie Mellon University in Pittsburgh and became friends. They discovered a shared passion for Bossa Nova music, entrepreneurship and technology, so they founded Bossa Nova Robotics to create fascinating personal robots and disseminate them around the world. Meaning "new thing" in Portuguese, Bossa Nova is not only the music that brought them together but it also describes the innovative spirit and driving force behind their concepts and creations. Located in Pittsburgh, USA, Bossa Nova marshals the technical know-how of this hotbed of robotics to adapt laboratory-grade technologies to innovative and entertaining consumer products. Our heritage of developing advanced robotic technologies and a thorough understanding of consumer needs guides our development of compelling personal robots at affordable prices. Bossa Nova expects to be at the forefront of the robotics revolution. Wombat Security Technologies is a leading provider of cyber-security training and filtering solutions and a spinoff of the world-renowned School of Computer Science at Carnegie Mellon University. Its security awareness and training solutions are designed to be engaging and have been scientifically shown to be significantly more effective than traditional training solutions. Wombat’s anti-phishing filtering solutions have been shown to catch significantly more phishing attacks than other commercial solutions. Wombat’s products are easy to deploy and maintain and are used in sectors as diverse as finance, government, telecom, health care, retail, education, transportation & utilities, IT and the service industry. With several million users across North America, Europe and Asia, Wombat Security Technologies has established itself as a global leader in cyber security training and filtering. The company’s solutions have received many accolades from the computer security industry and media and have been the subject of feature articles in high profile publications such as Scientific American as well as many business and trade publications. Developed at Carnegie Mellon by Krzysztof Matyjaszewski in 1995, Atom Transfer Radical Polymerization (ATRP) is among the most effective and most commonly used methods of controlled radical polymerization (CRP). It allows scientists to easily form polymers by piecing together their component parts in a controlled fashion. 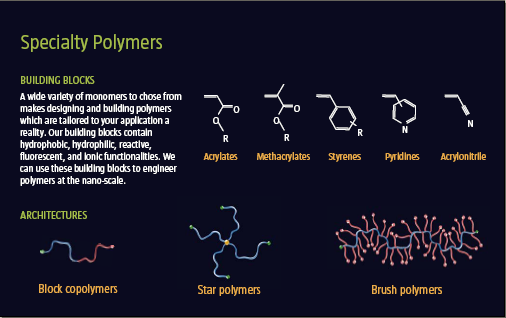 Assembling polymers in such a manner has allowed scientists to create a wide range of polymers with highly specific, tailored functionalities. This technology also allows for the production of “smart” materials that can respond to altered environments, such as changes in pressure, acidity, light exposure or other variables. Polymers created using ATRP have been used for coatings, adhesives, lubricants, cosmetics and electronics and are currently under investigation for use in the medical and environmental fields. ATRP relies on a specialized copper catalyst to form a polymer chain. In the early stages of ATRP's development, high levels of copper catalyst were required to maintain the process. This problem persisted even after more active catalysts were developed. As a result, the materials manufactured using ATRP contained high levels of copper. In 2006, Matyjaszewski and colleagues introduced a green approach to ATRP that incorporates environmentally benign reducing agents, like vitamin C and sugars, to regenerate the active form of the catalyst. The reducing agents chemically lessen the amount of copper catalyst needed for the reactions by as much as 1,000 times, significantly reducing the output of potentially hazardous materials employed in ATRP and used for purification. Spun out of Carnegie Mellon in 2008, ATRP Solutions helps customers to increase the efficiency of research and development by designing and providing specialty polymers that meet their needs. ATRP Solutions recognizes the importance of well-defined polymeric materials for improving the performance of commercial products in the areas of personal care and cosmetics, detergents and surfactants, paints, pigments, coatings and biocompatible materials. As the world leader in atom transfer radical polymerization, ATRP's solutions mission is to enable businesses to capitalize on this rapidly emerging technology. ATRP Solutions manufactures custom materials and shares knowledge to help in making tomorrow’s commercial products. 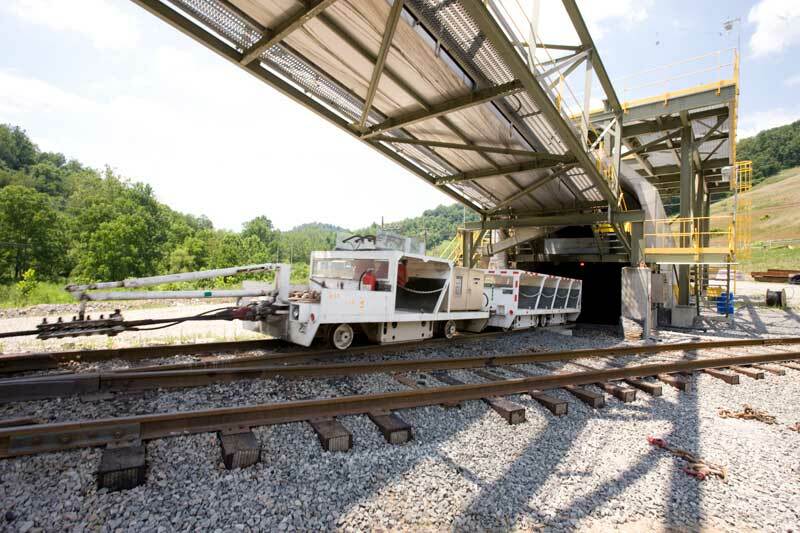 As CONSOL energy crews evacuate coal from beneath the surface, the heavy belts carrying the coal become prone to breaks, which means production slows down. And when the output of 2,000 tons of coal and hour gets interrupted, it can have significant economic impact. That's why CONSOL reached out to the National Robotics Engineering Consortium (NREC) at Carnegie Mellon for a solution to the coal conveyor belt issue. Researchers designed build and tested a high-speed monitoring system to gauge the performance of the conveyor belt. Rising two cameras, two light bars, an encoder, and both an underground computer and a remote computer to analyze the incoming data, the system can identify and anticipate problems with belt breakage. This allows CONSOL crews to perform the needed maintenance before a splice in he belt becomes a break. The Carnegie Mellon solution continues to help CONSOL avoid major production slowdowns and associated costs. "The Belt Vision technology that Carnegie mMellon helped us develop has been a real help to CONSOL" said Bruce Bancroft, of the company's mining operations systems support division. "It's much better to be down for 30 minutes to attend to a belt before it breaks than to be down for four hours after a major break"
DeepLocal is a software design, development and strategy firm that solves problems associated with the collection, management, analysis and publication of information. Using its Maphub mapping program and Gumband SMS place/event platform, DeepLocal helps clients to flexibly move information internally and externally in a managed and protected manner across multiple media outlets. An initial target customer is the $6o Billion newspaper industry, which can use DeepLocal technology to provide readers with immediate online access to current and historical information specific to precise geographic locations. Support from the Studio for Creative Inquiry, a Carnegie Mellon research center for artists and technologists housed in the College of Fine Arts, provided crucial development assistance in the early formation stages of DeepLocal, as has initial investment from Idea Foundry, and coaching from regional investors and entrepreneurs. DeepLocal was named to the Top 40 under 40 startups of 2007 by American Venture Magazine. Carnegie Mellon computer scientists developed an interactive, online game featuring a little fish named Phil who teaches player cybersecurity tips. " Anti-Phishing Phil" helps users to better recognize and avoid e-mail phishing and other Internet scams. In testing at the Carnegie Mellon Usable Privacy and Security (CUPS) Laboratory, people who spent 15 minutes playing the game were better able to identify fraudulent websites than people who spent the same amount of time reading anti-phishing tutorials or other online training materials. Phishing attacks attempt to trick people into revealing personal information, bank or credit card account information. Often they involve e-mails that appear to be from a legitimate business and directs recipients to visit a website that likewise appears to belong to that business. They are asked to "verify" account informaitonm which opens the door to financial loss and identity theft. in addition to spoof e-mails and counterfeit websites, some attacks even mimic parts of a user's own web browser. The Anti-Phishing Phil project is part of a larger anti-phishing research effort at Carnegie Mellon funded by the National Science foundation and the Army Research Office.